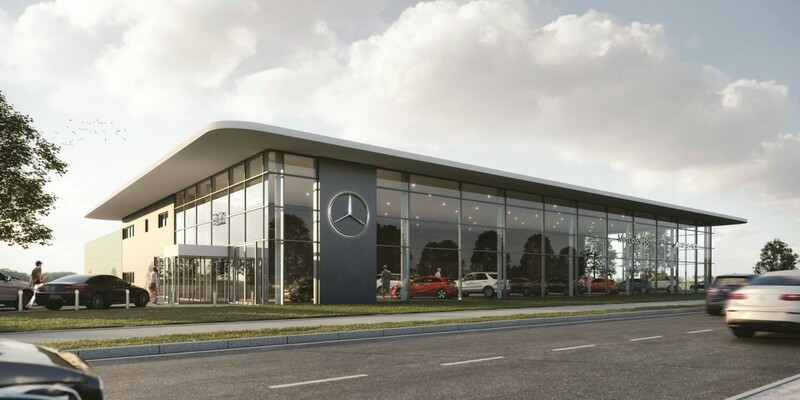 Plans have been submitted by Listers Mercedes-Benz of Hull and Hull-based Wykeland Group which will see the luxury car retailer move from its current Priory Park dealership to a prime six-acre location just off the A63, to the west of Hull. The £10m development at Wykeland’s Meltonwest business park in East Yorkshire, which is triple the size of the existing site, will have parking and display space for 120 cars. The showroom, which is expected to be completed in late 2019, will feature the latest Mercedes-Benz retail concept, immersing the customer in total luxury as they browse the range of cars on display. A state-of-the-art, 20-bay workshop will cater for the growing number of Mercedes-Benz cars in Hull and the surrounding areas where owners will be able to relax in a sumptuous new lounge while their car is serviced and valeted.